George surfing Indonesia. Photo courtesy of G. Gall. George Gall grew up blocks from the water in Ocean Beach body surfing and riding inflatable mats. Today the third generation board shaper runs Plus One Surfboards. Serge Dedina: You are a third generation shaper. You would think that the adversity that surfboard shapers face economically would have pushed you away from shaping. Why have you stuck with it at Plus One Surfboards? George Gall: My grandfather made boards starting in the 1920s for himself and his friends. I don’t know that he made any for money, plus the number of surfers was not that many, so his income came from other sources. He was a bit of an artist, I was told he did graphic/sculpting work on buildings in Balboa Park, worked at the Navy Aircraft Rework Facility on North Island, and worked as a chauffeur/assistant for a prominent San Diego family, the Luces. I only remember my dad having one foam/glass surfboard and they only had their own boards for surfing and abalone diving. So again there was not a lot of economic pressure to make a living from surfboard building, which is probably why I never heard any discouraging parental words to not shape boards. Likewise, I had other careers. I went to college and got degrees in mechanical engineering and then mathematics. All the while I made boards, I kind of thought I was going to go the full corporate route, and I did, working for the Space Systems Division of General Dynamics on the rocket program that launched payloads like Cassini, the GPS array and military payloads for the Air Force and CIA. Then the big change for me happened, wanting to surf more again, I took a big chance and changed careers. I became a high school math and computer science teacher and worked in Chula Vista. 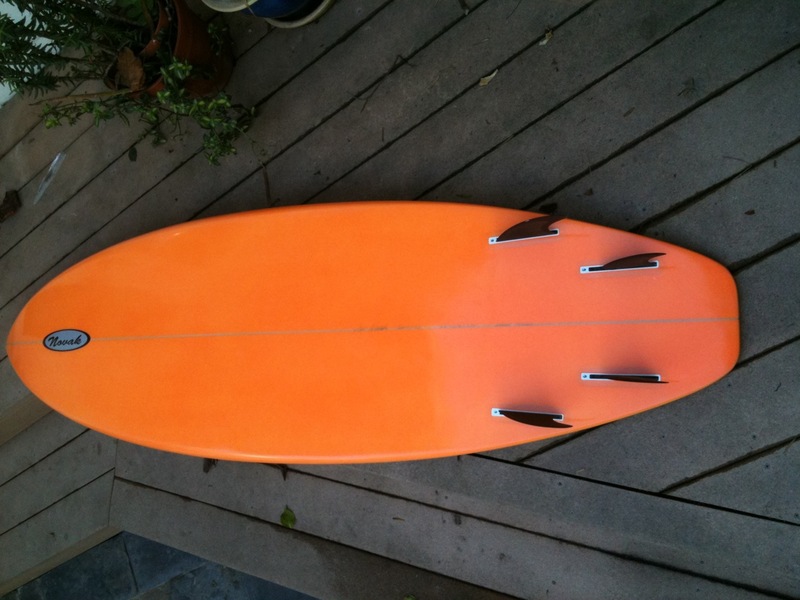 This opened me up for summers off, perfect for surfing and travel, and making even more boards. I was busy to the point of surfing less and working more. Not for the money as much as wanting to make good boards and to stoke people on them. I enjoy it. George at work. Photo courtesy of Michael Andrew Photography. Dedina: Is San Diego a good place to be a shaper? Gall: This is a double-edged sword. Southern California has always been the pre-internet hotbed for innovation and the active lifestyle. This means lots of board makers come here to establish credibility and all the major ingredients: the blank makers, resin and glass suppliers had set up shop near San Diego. It is good to be a shaper in San Diego, for many reasons: cred, leading edge, testing and close to media to share designs and do business. San Diego is a bad place to be a shaper because there are so many shapers trying to do the same thing, thus the market becomes a bit saturated at times, and the price and profit for boards is probably the lowest in the world outside of China. San Diego can be an aggressive market due to pro surfers wanting sponsorships and low-ball pricing. Access to materials to home builders has an influence on killing the margin needed to make a living from surfboard building. Dedina: It seems like there is more support for local shapers from the industry and the media. Does that translate to greater sales? Has it helped at all? Gall: There has been a huge shift from the mindset of pre-2005. Gone are the days of shaping 40, 50, 60 of the same board over and over. Supplanting this is the desire for fresh designs. This paradigm shift has brought the spotlight on “alternate” designs, on new ideas, and thus local shapers. This translates into different sales, depending upon which side of the threshold the shaper is working. If they were once doing 300 boards a week of the same design, the rise of the local shaper counters their effort. If the shaper is one of the local brands, then yes, they are going to feel an increase in demand, if their designs are good. However, the local shaper hits a ceiling because there are other local shapers on either side of the shaper’s “territory.” If that shaper has a good share of a particular coastal stretch, then that shaper usually does well, just servicing that business model. As the territory expands, then the shaper is no longer perceived as a “local shaper” requiring a morph of the public image. In my book, the board has to work, it has to be fun, and the business will come. Dedina: What are the trends you see for surfers and the type of boards they are riding right now. What are the hot shapes? Gall: Experimentation. The average surfer has seen the iconic top surfers trying “new stuff.” With this permission slip, the average surfers are cleansing themselves of the “one-design” constraint of the last 20 years. With this experimenting there will be successes, which will manifest larger quantized jumps in better designs than the small incremental refinements of the old designs. With this greater design mutation, it is assured you will see greater, more noticeable progress in surfboard design; the door is now open wide, pushed by newfound creativity and also financial reasons. In a way, it is good to see this wide array being tried in the water. Along with this, we are seeing surfing change, less “clonish” with different styles and approaches. On the other hand, imagine being a surfer who finally gets the hundreds of dollars together to get a new board who must make a decision to go with a “known” design, usually reinforced as a “model,” which implies more credibility to a board, or to take an expensive gamble on an unknown concept that might result in being stuck with it for a while, having to get rid of it, and having to endure criticism from peers–the all-stagnating peer imperative. George and his racing SUP design. Photo: G. Gall. Dedina: Is the economic incentive to use more sustainable or “green” materials there yet? Gall: We are still on the uphill side of sustainable boards at the leading edge of performance surfing. I often wake up wanting to go in the shop and build something that was grown or was from something used previously for another purpose, so it would not be a waste. Everyone in my family built wooden boards and that weighs on me, especially now. The big difficulty is educating the buying surfer to understand that purchasing a sustainable board is much more than just getting another board to ride. Seeing the big picture offers a satisfaction, and to some a fulfilling duty, to make a responsible surfboard purchase. We are trying new materials all the time and are in contact with many of those dedicated to finding the coming viable solutions. I do not think there is a surfer out there who would be opposed to owning and riding a surfboard that was 100 percent green. The constraints right now seem to be cost, durability, performance and convenience. Shaping machine Plus One design. Courtesy G. Gall. Dedina: What can the surf industry and even the surf media do to promote having surfers work with local shapers? Could local shapers work together more effectively to create a trade association to promote the art of shaping and buying handcrafted surfboards? Gall: Most of the push is word of mouth. The push is being felt the strongest where it matters the most: in the water. But whether at the local break, or big contest, or daredevil surf spot, the credibility of the shaper is in how the board works in the water. In most cases there is a core group or core surfer who is devoted to a particular board concept. The shaper needs to be dedicated to listening to the surfer, produce the dream into a reality, and maybe answer the phone every once in a while. Reputation is, or should be, made by the merits of the shaper. The modern “word of mouth” is social media. I get more and more boards ordered on an Internet-only basis, and it is working. In fact I am seeing less errors on orders since we have written histories on boards and idea development. This has actually made my workload easier and a little less stressful. Plus One computer aided design. Courtesy G. Gall. Another thing I see happening post-2005 (blanks) and post-2007 (economy) is that the remaining shapers have had to pull up their stakes and regroup. It is now common to see five or six shapers have their boards made under the same roof. At Plus One we have six to eight shapers who will come in to do their work, all of their own brand. This strategy is a good starting point to go to the next level which is to promote the trade. Shapers are more networked together now than ever before. We have tribute shows and a semblance of a trade show open to the public. A trade association would strengthen the small local shapers and give them a voice and a channel to improve what they make. Sandy Beach on the southeast tip of Oahu is arguably one of the world’s most unique waveriding locations. On any given day a group of committed individuals gather together to ride waves on the most diverse collection of tools used anywhere. Visit Sandy during a south swell and you’ll find kids young and old expertly surfing the vicious shorebreak using bodyboards, soft-top surfboards, fiberglass surfboards, McDonald’s food trays, handmade wooden hand planers, swim paddles, and bodysurfing with swim fins and without. This is the beach that President Obama famously bodysurfed during his first presidential campaign. When he stuck out his arm in the classic bodysurfin position, surfers all over the world recognized him as the real deal. Our President knows how to bodysurf. And whether it is 2 feet or 10 feet, the waves at Sandy are not easy. You have to want to be there. South swells are wedged together to pound this 400-yard long beach with terrifying precision in about one foot of water. A local told me, “It doesn’t matter if it just 2 feet. You are guaranteed to get a barrel.” The waves are round and hollow. The water at Sandy is crystal clear and warm which makes it an inviting place to get wet. But don’t be mistaken by the tranquil looking sea. Just getting in and out of the shorebreak requires negotiating the current, the shorepound and the steep beach. On our first visit there, a new south swell was building. With a strong tidal push in the middle of the afternoon, we could feel and see the surf increasing. Since the waves break onshore it was difficult to judge their height. While out bodysurfing I observed one surfer scratch into a wave. Just before the lip destroyed him, I caught a glimpse of him at the very bottom. The wave was twice his height or about 11-12.’ But estimating the size of shorebreak is difficult. Let’s just say the waves were poundful. On the east side of the beach are two reefs. Both offer up slabby gnarly A-frames, with the lefts beating out the rights. Waves on the inside reef wedge up and alllowed a couple of expert surfers to snag a few choice barrels. One surfer backdoored the rights all afternoon scoring deep barrels. Another surfed the left, avoiding a large rock on the inside and connecting to the shorebreak where he was either decimated or barreled or both. The most impressive performers were the surfers riding bodyboards. They had no fins or leashes and took off on the gnarliest set waves, stood up and ripped, hitting the lip, carving 360s and getting deep barrels. Sandy is popular, crowded, sunny and perfect. And best of all, after you get tired of being pounded into the sand there is a Wahoo’s Fish Taco Truck standing by to provide up lots of bowls, burritos and tacos to help you get over the pain. 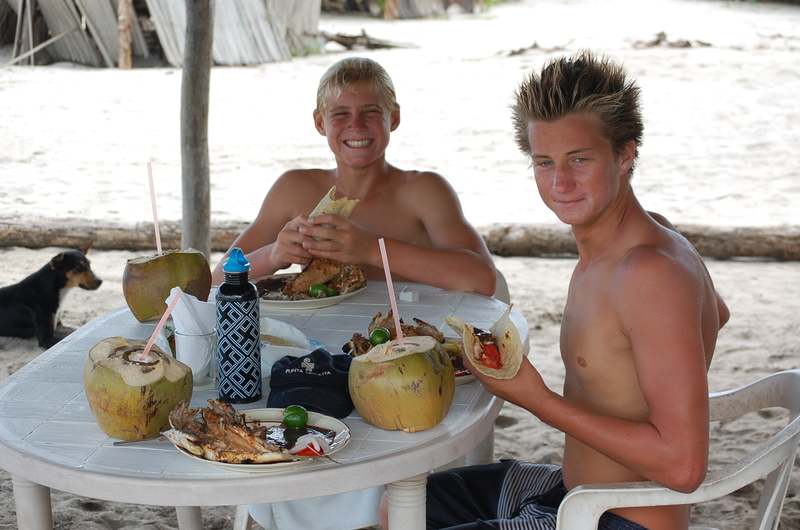 My sons and I surfed a lot of spots on Oahu. We had the most fun at Sandy’s. My new custom Novak Surf Designs squashtail quad. 80s colors! 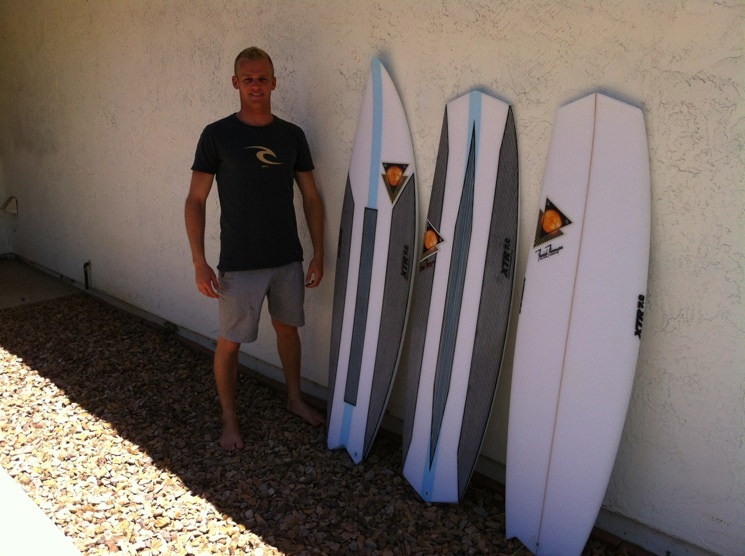 Just picked up a new board from Jay Novak of Novak Surf Designs. It is a 6’6″ x 2″ 3/4 x 21 3/8. This is really an old school squashtail template-the type of Simon Anderson designs I fell in love with when Thrusters first came out in the early 80s. I’ve been riding Jay’s squashtail quads for close to 3 years, and he has helped me really get the shape I want dialed in.EPS foam along with Epoxy really helps me on the flotation and the key for me is width + thickness. I’m a big guy at 6’4″ and 201lbs so the extra flotation is key, especially with a full suit on. 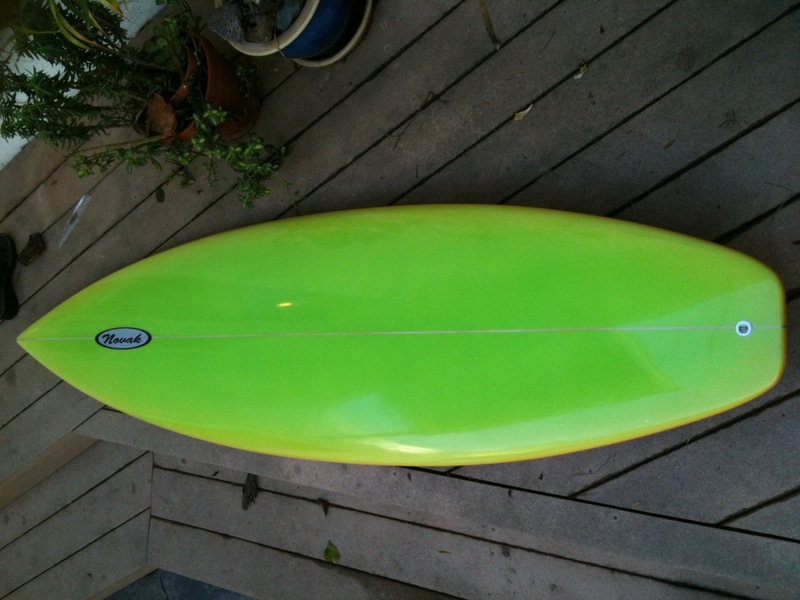 I have another very similar 7’0″ shaped by Jay. It works incredibly well in bigger surf, especially waves with big open faces. 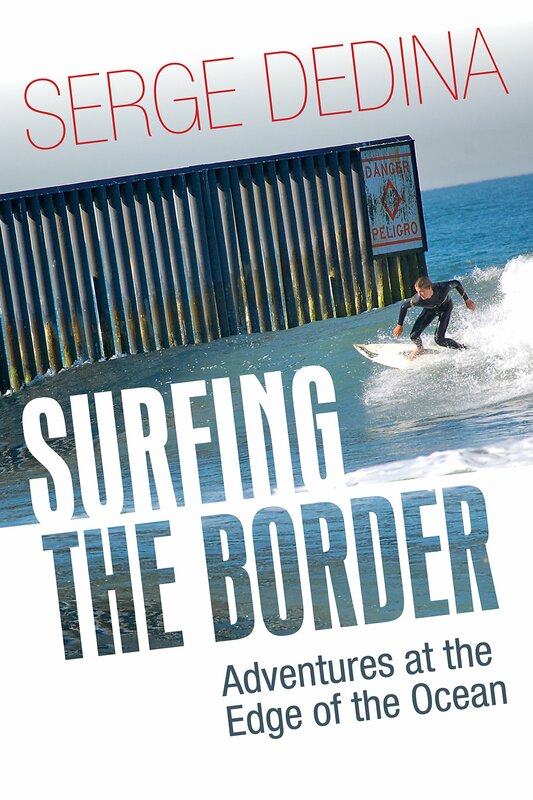 I’m looking forward to surfing this one in Baja. I’m also a big believer in color. And all my boards right now are either electric 80s colors (think Potz!!!) or a cool 70s era forest green and yellow. I have the Futures Rusty quad fins in this one. Hope they work well. Experimenting with correct fin size is key to getting the quad dialed in. I don’t know anything about surfboard design. I know what I like and what works. Luckily I have Jay to work with who knows how I surf and can work with me to experiment and get these right. That is the key to having boards work correctly. You have to work with an experienced shaper who really knows how you surf. Novak Designs quad. These are the Futures Rusty quad fins. Brett Bender at work at the TNT factory in Imperial Beach. From my Imperial Beach and Coronado Patch surfing column of Nov 15. Brett Bender can be found most mornings surfing his modern longboard south of the Imperial Beach Pier. 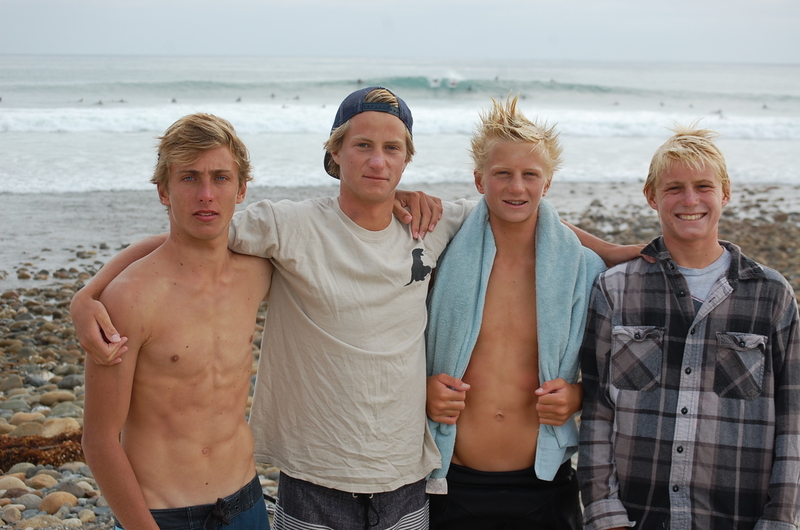 Brett’s son Noah is one the key members of the Imperial Beach Grom Squad, most of whom surf Brett’s ultra-modern and progressive Natural Selection custom shortboards. 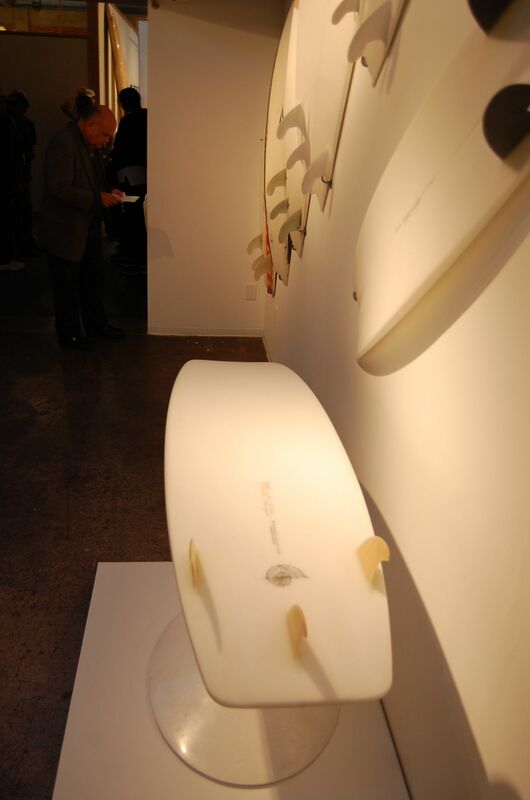 A: I started shaping surfboards at the age of 14 in my mom’s garage, because the whole process fascinated me and I thought it would be fun to make money at something you love to do. At 19 I got a job airbrushing and shaping for Mitch’s in La Jolla, manufacturing them at Star Glassing at Brown Field. I shaped for labels like Iron Cross, Dove, Airwaves and World Motion, Ezera, Marbella, Tony Staples, Bear, Gordon and Smith, Blue Water and others. The whole time I evolved my own Natural Selection Surfboards designs. I am also airbrushing at TNT and creating retro and 60’s style longboards in Japan. I airbrushed for shapers such as Rusty, Mike Hynson, Skip Frye, Nev Hyman and too many more to mention. The heyday of surfboards for me was in the late 80s, early 90s when it seemed like everyone had lots of work before cheap imports from China and elsewhere and computer shaping machines. Q: What shapers influenced you starting out and today? A: When I started shaping I was interested in Ben Aipa’s shapes until Simon Anderson’s three-fin thruster came out. Simon was the man. I had the opportunity to work and learn from international shapers in the 80s and 90s including Almir Salazar, Paulo Cabral and Geraldo Rinaldi in Brazil, Grant Miller from Australia, Kim Purington and Steve Elliot from Hawaii. I learned their techniques and tricks of the trade. Most of all, David Craig has influenced me the most because I have been watching him shape since I was a teenager and he is a true master of his craft. Q: Where are you favorite places to surf? A: I love surfing here at home in Imperial Beach. My favorite spots are point breaks like Byron Bay and Noosa Heads in Australia or Scorpion Bay, Mexico. Q: What designs that you are working on? A: Currently the boards I have been working on that have received excellent feedback have been shorter, wider and thicker using a modern version of the old fish blanks allowing for the extra volume with dialed-in modern rocker. Q: What is happening with surfboard materials that are new and exciting? A: All different board designs are being ordered in the epoxy medium, since they are lighter and more buoyant. Epoxy seems to be what a lot of people need because they love them. My favorite boards to make are actually 60s style with resin tints, traditional outlines and rails with modern high performance hidden in with lightness, bottom contours, step decks and a really good fin. Q: Where did the collapse of Clark Foam leave the surfboard industry? A: The collapse of Clark foam was devastating. Almost 50 years of experience gone, 100’s of rocker combinations, the special stringers, the famous molds all gone which were irreplaceable. Personally it was difficult because I do mostly handshapes. Dozens of blank companies popped-up only to quickly go out of business. A few good companies remain over five years later already. Q: Is there a future for the small “handcrafted” surfboard shaper/manufacturer? A: There is always a place for handshaped boards, the personalized custom board. But there will always be a place for the computer board, the highly evolved high performance shape that takes hours to achieve by hand and only takes minutes by computer. Q: What it is about shaping that keeps you motivated? 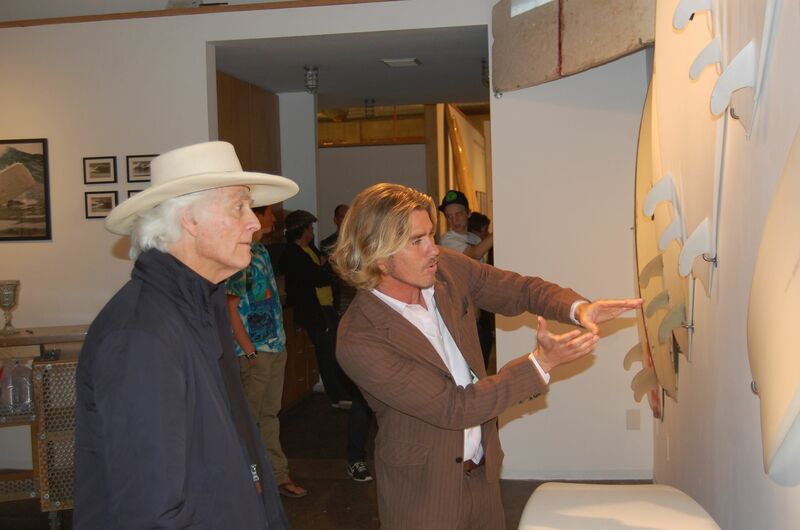 A: The most rewarding thing about making surfboards is creating and surfing them with my son Noah whose love for the sport and interest in surfboard design has inspired me. Serge Dedina is the Executive Director of WiLDCOAST ﻿and the author of Wild Sea: Eco-Wars and Surf Stories from the Coast of the Californias.